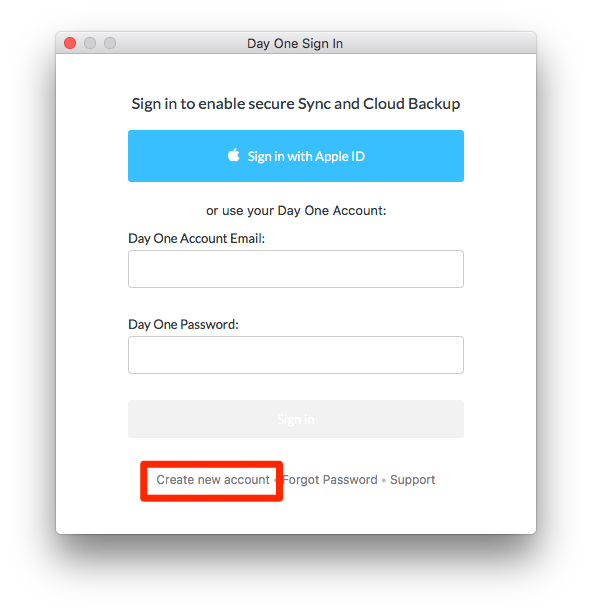 In order to use Day One Sync, an account is required. 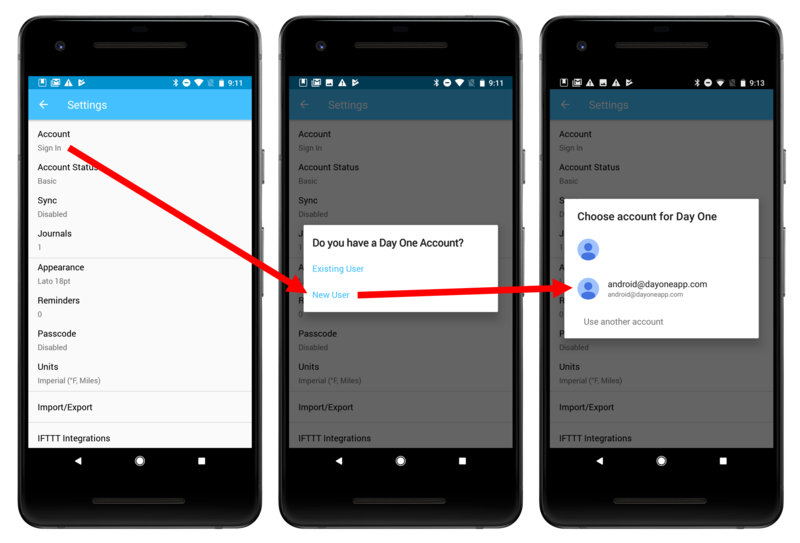 You can create an account with an email and password, or you can use Apple ID to sign in or your Google account if you are using an Android device. 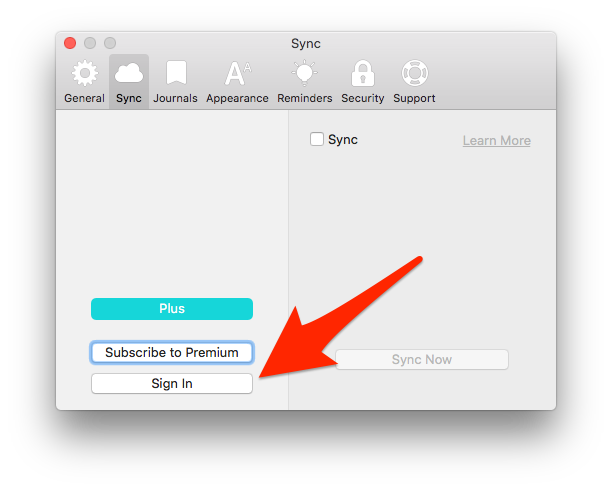 Be sure to sign in with the same credentials on all devices in order to sync your data. Here is how to set up an account. 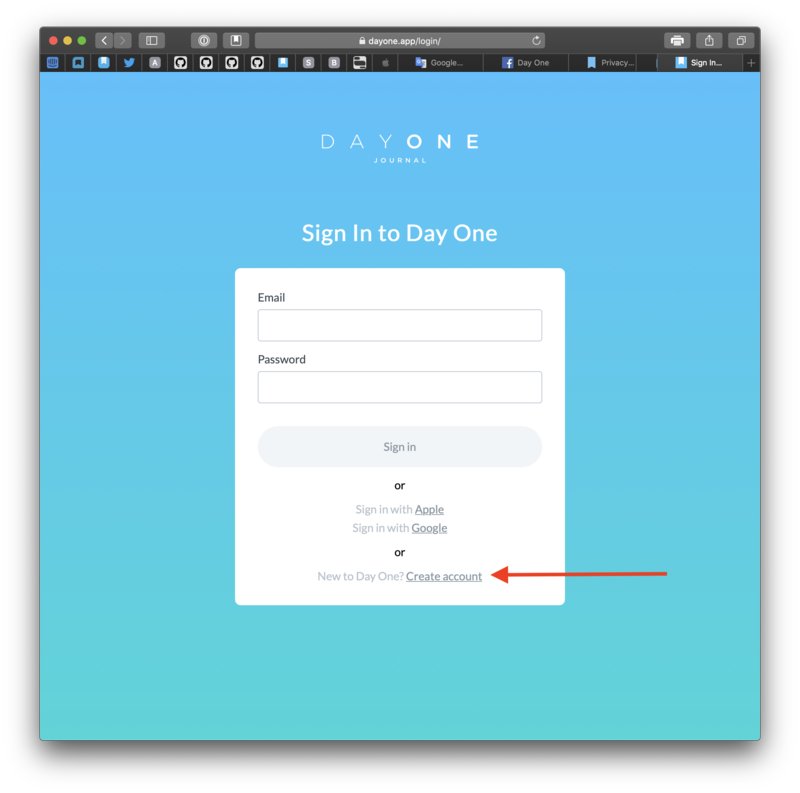 Go to https://dayone.app and click Create account. If you chose Apple ID, you are signed in using the credentials stored in your device Settings. This is secure. 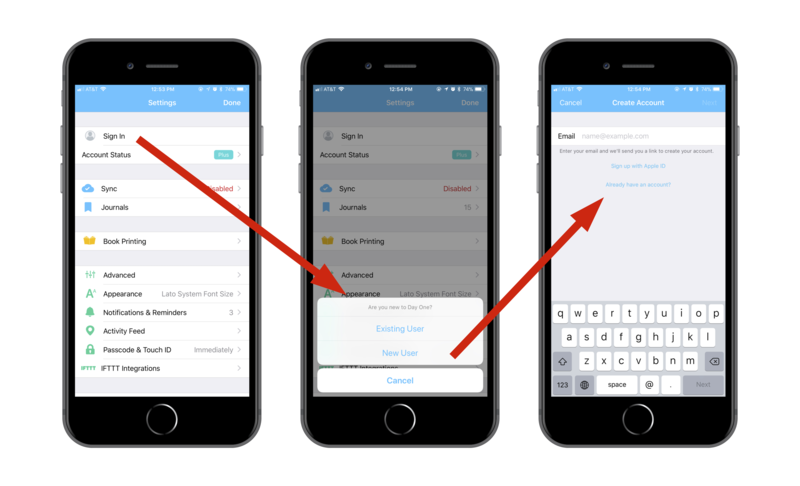 See here how we use Apple ID to sign in. On Day One Android, you can sign in using your Google account or create a new Day One account. We recommend signing in with your Google account. Select the Google account you would like to use or tap "Use another account" to sign into a different Google account. Your account will automatically be created. If you want to sign into your other devices, go to app.dayone.me/settings > Sign in with your Google account > Click Add Password. You can then sign into Day One on your devices using your Google email address and password. Click Create Account at the bottom or choose to sign in with Apple ID. Sign in to the server dashboard to view your synced entry count and also to manage your Day One Sync account.